You deserve to live your life in HD as soon as possible! That's why we offer convenient, affordable financing options. Whether you're paying in full or just covering what your insurance won't, our financing helps you get great vision sooner no matter your budget. We'd be happy to answer any questions you have about financing at your FREE LASIK consult - or just give us a call! Fill out the form below and we will contact you about our financing plans! To meet the diverse financial needs and circumstances of our patients, Davies Eye Center offers a variety of affordable LASIK pricing and financing options. Take advantage of 0% interest for up to 24 months to finance your procedure with one of the world’s most established and trusted financial institution. Apply in-person at our office or by using a fast & convenient online application. 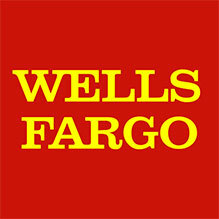 Wells Fargo provides on-the-spot decisions and funds are typically available within 48 hours. When to have your vision procedure should be the question, not how to pay for it. We’d like to make that decision even easier for our patients. That’s why we’re pleased to accept all major credit cards including Discover, American Express, Visa, MasterCard, and Care Credit. Contact us today through the form above for more information on financing options so we can find the best plan to get your vision corrected!